Educators and researchers are increasingly interested in the benefits of using Facebook groups attached to university courses, largely around connectedness, engagement and sense of belonging. However, thus far, there have been no broad-scale investigations on the potential outcomes of course-attached Facebook groups. 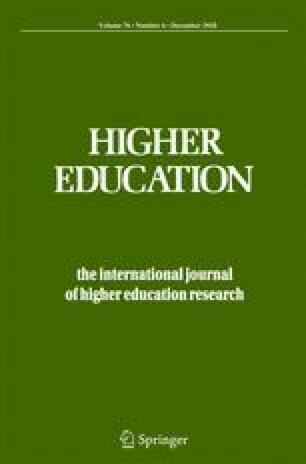 The current study used both within- and between-group analyses on 471 participants, in order to investigate whether courses with an attached official or unofficial Facebook group was related to increased student engagement (in the categories of relationships with faculty members, peer relationships, behavioural engagement, cognitive engagement, valuing and a sense of belonging) and degree identity compared to courses without Facebook groups. Results indicated that students reported interacting more with unofficial than official Facebook groups. Courses with an official Facebook group had significantly greater staff connectedness compared to courses without an official Facebook group, while courses with either an official or unofficial Facebook group had a significantly higher peer relationships compared to courses without any Facebook group. Students with either an official or unofficial Facebook group had a significantly higher sense of belonging. Though students with either an official or unofficial Facebook group reported higher degree identity, this may be primarily due to the unofficial, rather than official Facebook groups; this difference may only exist in the unofficial, but not the official Facebook groups.